It was an amazing 2-nights staying, even better than we had expected. The apartment we stayed in had lovely sea view, very spacious balcony with excellent privacy, clean and comfortable bedding. The hosts were really welcoming and treated us as if we were their family. We will definitely return back in the near future! We had a lovely stay at the Markakis apartments. The apartment was clean, at a great location, close to the beach and restaurants, as well as the main square of the village, however not noisy at all. When we arrived, on Friday evening, we found fruit and some raki in the fridge, and some juice and pastries for our breakfast, which I thought was a beautiful gesture. Good parking space for our vehicle, but I think what we liked the most were the owners, who were very friendly and hospitable. We will definitely return next year, in the summer though, and for a longer period! I would highly recommend Markakis apartments. Our apartment had a really big balcony with a stunning view over the bay to Spinalonga. It was clean, spacious and comfortable inside. Our hosts were so friendly and welcoming. They even left us lovely food and home made cake as we were arriving late! We will definitely return. Thank you for a fabulous holiday! Location was good. Hosts were lovely. Received on arrival in the fridge the biggest peaches I have ever seen, grapes and bottle of water. Which was lovely welcome. Michael and his family went above and beyond to make our stayed incredible. I don’t think I’ve ever experienced such service anywhere else. Absolutely loved it here. Do yourself a favour and book! The apartments are locate in the center of Elounda and easily reachable by foot or by car. The guest are extremely sympathetic and friendly. They provide help as needed. Spacious and huge balcony with see wiev close to bus stop and markets. Great big terrace in the apartment, great location, just 5 minutes away from the restaurants and supermarkets where you can buy almost everything from fresh olives to oats to make your baby the breakfast. The room is cleaned every 2-3 days, there is a very friendly lady coming to change the towels and pick up the trash. The hosts are very friendly and speak English. We arrived late and took a tranfer to the apartment organized by the host, we found some refreshments waiting for us after a long flight. I would certainly recommend it to stay with your friends and family. The beach is 7 minutes away and you can take a trip to the famous Spinalonga island from Elounda port located in this area or take a 10 minutes car ride to find yourself in Agios Nikolaos. 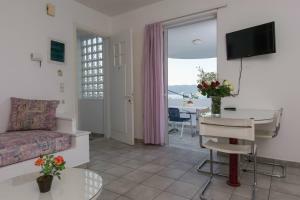 Lock in a great price for Markakis Apartments – rated 8.8 by recent guests! 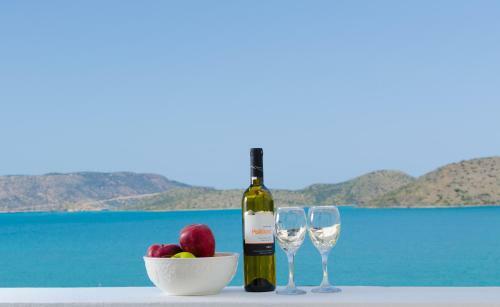 One of our best sellers in Elounda! 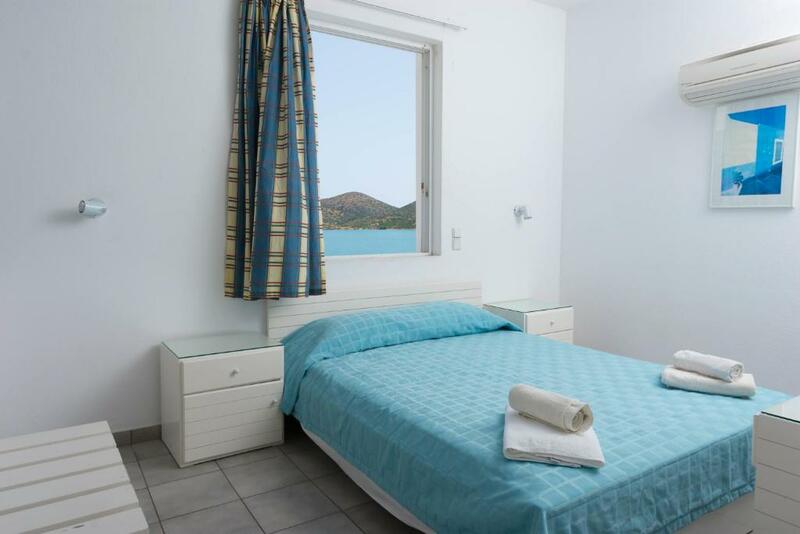 Located in Elounda, Markakis Apartments is situated 650 feet from the beach. It offers spacious, self-contained apartments with large balcony overlooking the Elounda Gulf and the island of Spinalonga. Guests can choose between apartments with one or two bedrooms, all fully furnished with living room and kitchen with dining area, microwave and refrigerator. Wi-Fi is free throughout the property. 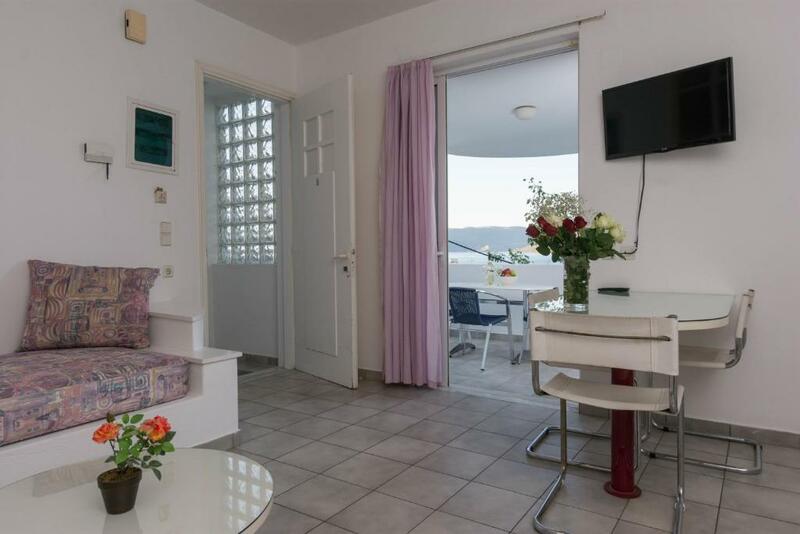 The owners of Markakis Apartments can arrange for car rental and baggage storage, and are happy to offer tourist information. 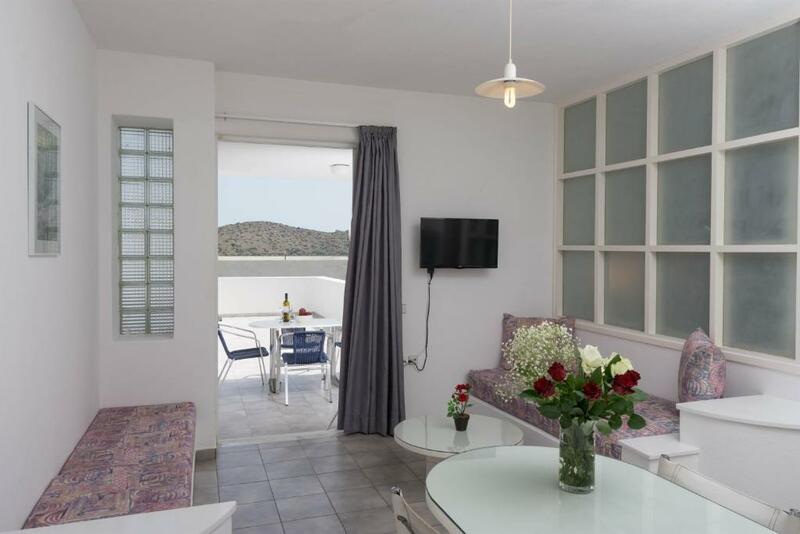 Central Elounda is easily reached at 350 feet from the Apartments. Free private parking is available on site. 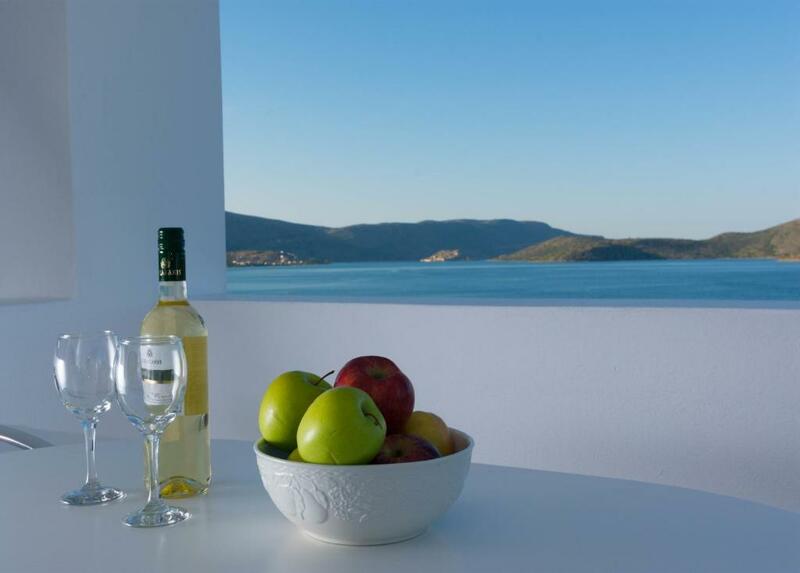 This is our guests' favorite part of Elounda, according to independent reviews. This property is also rated for the best value in Elounda! Guests are getting more for their money when compared to other properties in this city. 뀐 Located in the top-rated area in Elounda, this property has an excellent location score of 9.1! When would you like to stay at Markakis Apartments? Fully furnished apartment with living room and kitchen with dining area, microwave and refrigerator. Features free Wi-Fi. Please note that extra beds cannot be added in this apartment. Please note that this room type can accommodate 2 adults and up to 3 children. Fully furnished apartment with living room, separate bedroom and kitchen with dining area, microwave and refrigerator. Features free Wi-Fi. 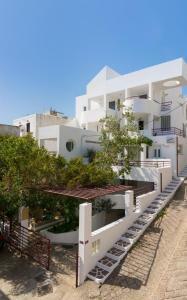 Markakis Apartments are situated in a pieceful neighborhood, with zero crime rate. All our nearby properties are family owned, with well educated and kind manners landlords. There are no noisy places nearby ,such as night clubs, bars or pubs, just high quality restaurants with international awards that serve local dishes based on cretan ingredients. We consider our area 100% safe for couples or families with children,as there is no heavy traffic on the roads attached to the property. Our guests, can gain access to the sea within 1 minute walking and to the closest sandy beach within 5 minutes walking. House Rules Markakis Apartments takes special requests – add in the next step! Any additional children or adults are charged EUR 8 per night for extra beds. Markakis Apartments accepts these cards and reserves the right to temporarily hold an amount prior to arrival. Please inform Markakis Apartments of your expected arrival time in advance. You can use the Special Requests box when booking, or contact the property directly using the contact details in your confirmation. A great apartment in such a great spot. We loved the view. Michael is a great host and the overall experience exceeded our expectations. We'll visit again! Cooking facilites and fixtures a little dated. The view from the balcony. There were no windows in apt 1 bedroom and bathroom. It felt very cave like. 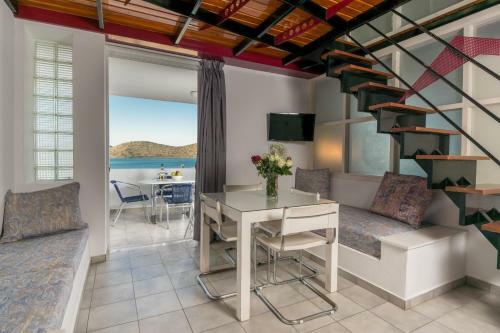 The slope to the apartments was very steep & would make access to & from the property quite risky if it were wet However The family who run these apartments are lovely very welcoming & give great personal family history about spinalonga. We know & love elounda very well & like to try different places to stay. Some we return to some we don’t. It’s all about personal preference. The bathroom facilities could have been a bit more moderne but the cleaning ness is very good. Very noisy refrigerator,no enough kitchen utensils closet in the bathroom is not flushing properly shower curtain was really awful. Wonderful friendly family run apartments...Communication with Michael ,( son )after l booked was excellent. Rani and Demetri, 2nd son, Lefteris…who give guests a great welcome and are extremely lovely, friendly, thoughtful, genuine people....who do everything possible to make their guests have a great stay. Myself and family were beckoned to their outside table to chat....on many occasions it was so lovely. Providing a bowl of fresh fruit....small quantity of tea, coffee, milk and sugar...French toast and jam in the apartment on arrival...was totally unexpected for a self catering apartment and such a lovely gesture. The beds were firm as other reviewers have said...but our family love a firm mattress so 10/10 from us.….wonderful...we slept so well. Our bedlinen (crisp white sheets) and towels were changed 3 times in a week...better service than a 5 star hotel. Our Apartment no 2 sleeps 5 people....and is a ample size for a family ...with a great balcony leading off one of the twin bedrooms this is a great private peaceful outdoor space to relax, chill, or eat with the family. I had the pleasure of being show around 4 of the other apartments in the block as they became vacant...and all 4 were very spacious....the sea views from all were fantastic. 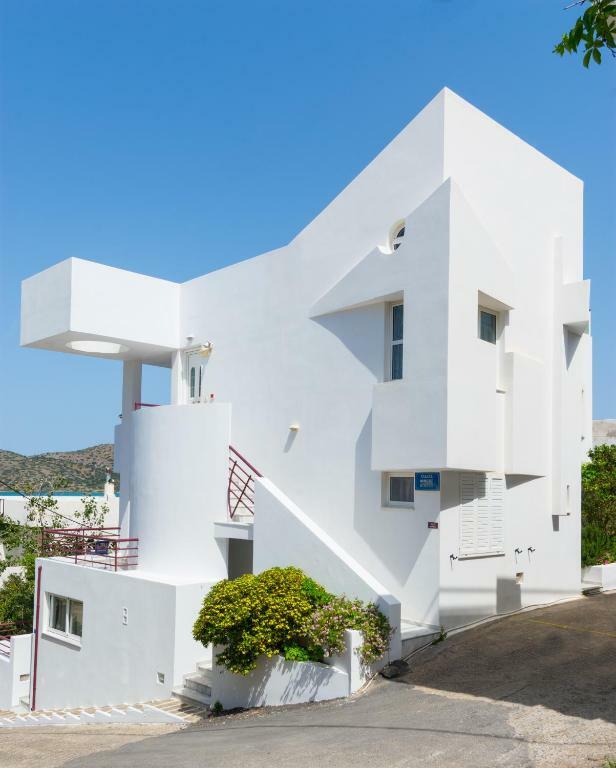 The 8 Apartments sit just off the main road that runs into Elounda….from Ag Nicolas and is .just yards away from supermarkets....and many lovely bars and restaurants...such a great location. .On vacating our apartment at midday and as our flight was an evening flight the family gave us sole use of of a room...with sofa...(which my son slept on for quite a few hours)….a shower room and a "help yourself" ...to water, and fruit in the fridge. It was so nice to still have a base to use before our airport transport arrived. Highly recommend these apartments Hoping we can become “returners”. Thank you for your wonderful hospitality. The apartments were a little tired in the decor but everything else cancelled that out. The hosts will make you feel so welcome and they are eager to make sure you have a good time. We had to get a taxi at 8pm when we were leaving and when the host phoned us to make sure we had had a good time, she kindly let us stay in the apartment until we were leaving without charging us for it. When we left their son came to the apartment to give us a small gift- we were treated with so much courtesy I would not hesitate to recommend the place.